CEO of RSPCA ACT Michael Linke today released figures for the work undertaken by RSPCA in the 2009/10 financial year concerning companion animals. 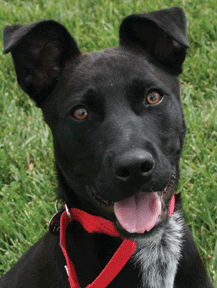 Of the 5,045 companion animals, 1,583 were dogs (1,563 last year, +1%), and 2,707 cats (2,612, last year, +4%). We worked with 755 (730 last year, +3%) other companion animals. Other animals include rabbits, rodents, guinea pigs, birds and fowl. Our already strong commitment to homing animals remains constant and we continue to be the leading RSPCA across Australia in terms of finding homes for abandoned pets. We boast the highest homing rate for dogs across Australian RSPCAs, 94%. Keeping this rate high is very important to us, but we also realise that not every dog that comes to RSPCA will be able to find a home. Some dogs come to us in very poor condition or with very poor social skills. Our staff and volunteers do everything they can to ensure a dog becomes homable and the fact that we find homes for 94% (92% in 2008/9) of unwanted dogs proves our commitment to this cause. Every dog is given every change, there are no arbitrary time limits, no unrealistic expectations, just caring people doing what they do best, correcting other people mistakes and taking pride in the work they do, every day of the year. We enjoy an excellent working relationship with the local pound, where dogs are regularly exchanged to give them the best chance of finding a home. 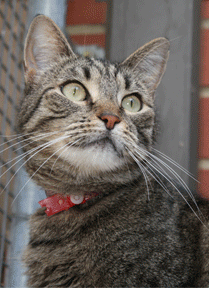 Our work with cats is also a very successful program and we boast a homing rate of over 64% for domestic cats, almost 30% better than the average homing rate across Australia. During this year’s kitten season we saw a tremendous volume of kittens, some 1,000 kittens (compared to 800 last year). Sadly many of these kittens succumbed to a particularly severe season of cat flu and we lost more kittens than expected. Despite this we homed 784 kittens, 3% more than last year. In total during the financial year we found new homes for 2,138 animals and reunited 978 lost animals with their owners.